The summer season has arrived! 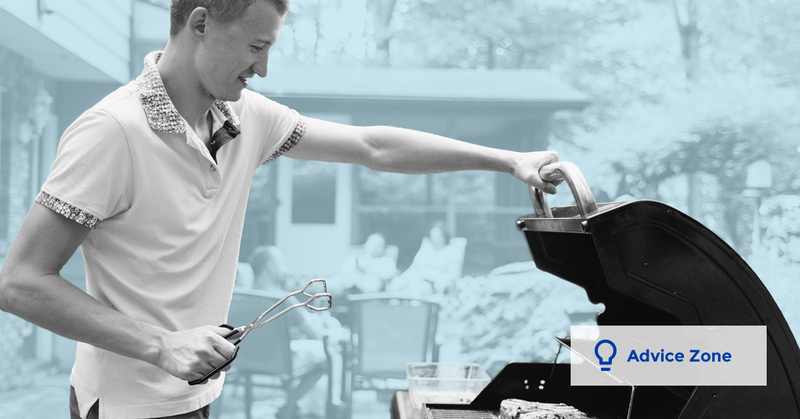 Discover our tips on how to enjoy your BBQ safely, all summer long. At the start of each season, make sure your BBQ is in good working order. It’s important to clean and check your burners, hoses, and regulator. Next, to make sure they’re airtight, cover your hoses and attachments with soapy water. If you see any bubbles, be sure to patch the leak before you use the barbecue. Your barbecue should be outside, in a well ventilated area, away from high traffic areas—especially those used by kids. Make sure the ground is solid and level so the BBQ doesn’t tip. Your BBQ should be kept away from doors, windows, trees, and any flammable materials. The recommended distance is one metre from any opening and three metres from any fuel or air intake. Once the cover is open, open the valve on the propane tank and then the BBQ burners, in that order. For one, your BBQ is extremely hot. It also gives off carbon monoxide, which can have serious implications for your health. If you have children, make sure they stay well away from your BBQ when it’s on. Close the valve on the propane tank first and then, once the burners are no longer lit, turn them off. That way, you’re sure there isn’t any gas left in the hose. No matter the season, you should store your propane tank outside, taking care to ensure that the valve is in the off position. Don’t store the tank in a garage or shed. And keep it well out of reach of children. In their natural state, propane and natural gas are odourless. By law, an odour additive that smells like rotten eggs is used to make them more easily detectable.